To celebrate summer fun, Redbox is asking moms, “What’s the best animated movie that both kids and parents can enjoy?” Plus, they are rewarding 2 lucky people with a chance to win $10,000 as part of the Redbox Summer of Fun & Games Sweepstakes. I don’t know about you, but honestly, there are some animated movies that I can barely sit through with my kids. And in the same way, I’m sure there are plenty of movies that my kids would never be able to sit through with me. It must be very difficult for film makers to find the balance in creating entertainment that really is fun for the whole family, because the really good ones are few and far between! 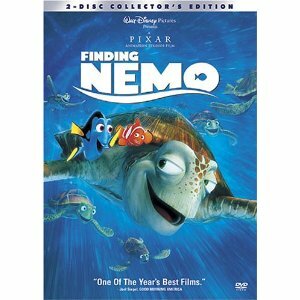 My favorite, however, is Finding Nemo. When Bradford and I watch this with the kids, we’re drawn in. We laugh together at the memory-challenged Dory, we cuddle together during the suspenseful scenes, and we cheer together when Nemo and his father Marlin are reunited. As children, my kids are entertained, and as adults, we are too. What’s more important to me, though, as a parent, is that I see several lessons being taught throughout the movie–lessons I really want my kids to learn, and lessons I need to be reminded of myself. Perseverance: Nobody gives up in this movie. Friendships: When people work together, they accomplish much more than when one person tries to go it alone.